Last fall, YouthTruth sat down with Dr. J. Michael Durnil, president and CEO of Simon Youth Foundation (SYF), to learn more about how listening to beneficiary voice has helped SYF in its mission to help high school students who are on the verge of dropping out graduate and pursue post-secondary educational opportunities. SYF has partnered with school districts across 15 states to build 35 alternative high schools that provide students at risk of dropping out with the same education they would receive in a traditional classroom, but in a flexible environment that emphasizes one-on-one learning, personalized support, and small class sizes. The foundation also supports students in their pursuit of post-secondary opportunities through college counseling and a national community scholarship program, through which it awards more than $1 million annually to graduating seniors in every community home to a Simon mall. In 2014, Durnil helped SYF launch its first comprehensive listening effort through the YouthTruth student survey, which gathers feedback from students, staff, and families on themes like college and career readiness, student engagement, academic rigor, and school culture. Durnil views student voice as a form of advocacy deeply rooted in social justice that has served as a catalyst in SYF’s efforts to best serve students. SYF has used this data to inform improvements both at the foundation level and at its individual Academy campuses. Given SYF’s unique position as a grantmaker and education network, YouthTruth was eager to speak with Durnil about the foundation’s experiences in both gathering feedback and acting on the data. YouthTruth shared what it learned from this conversation in a case study recently published on its website. YouthTruth: In what ways does stakeholder voice matter to you? Dr. J. Michael Durnil: The student is the reason SYF exists and what our purpose defines us to. If we can’t hear their voice or know what they want, we become a bunch of well-meaning people who are trying to do something to students and not for students. YT: What aspects of your work at the foundation have been informed by student feedback? JMD: This data helps us communicate our impact with our donors, our community partners, our school district partners, our teachers, and ultimately, with our students. The YouthTruth survey has given us a common language to talk about what makes us unique, what are the outcomes of the work we do, where the donor dollars go, and how those investments impact students’ lives directly. YT: How does stakeholder voice matter to staff and leaders at SYF? JMD: As a foundation, we sit in a unique space within the education community, the corporate world, and the philanthropic sector. That’s a very sacred space. And we have to bring something unique to the table. We know the work of the foundation is to engage the disenfranchised. The students who we work with are often on the margins, and it is so critical to hear what they need and make sure that we can advocate for what they need. Listening to each student helps us fulfill our mission of reaching students where they are and help them across that graduation stage. YT: What have you seen in the data, and what did you change as a result? JMD: I keep our data in a binder on my desk. I’m constantly engaging with our data and finding inspiration to strategically bring curricular and programmatic resources to our teachers. There are elements of insight from our data that come up every time I address a group. In fact, the data came up in a staff meeting today in the context of reflecting on how we’re delivering services. Survey data has also informed the agenda for strategic and tactical changes. With help from YouthTruth’s partnership team, we examined responses across themes to create an agenda of resources to provide to our teachers and students. Through feedback, students tell us what they need, what they’re missing, what they’re thinking. With this student insight, I become equipped with an immediate strategy or agenda. With the student input, I can go out and find additional resources and bring them to bear to our academies, to our districts, to our communities. YT: What advice do you have for other leaders — in education or in philanthropy — interested in gathering feedback from students or other stakeholders? JMD: Get the feedback and use it. People help to support what they create. We are a national organization doing work in local communities. When we go into new communities, there is a period of questioning about who we are, why are we there, and what do we do. We try to be really sensitive that we don’t go in waving our brand flags. [Beneficiary] data takes my bias out of the equation. I have this conversation with philanthropic friends and education leaders often — we have to understand our biases. YouthTruth allows the foundation to get its “bias” from students instead. My advice is to get quality feedback then connect that feedback with other data sources to tackle the big issues in front of you. Or use the feedback to identify emerging issues and get out ahead of them. JMD: I am continuously surprised by the meaningful unintended outcomes of having YouthTruth data. We initially signed up to use YouthTruth to validate our investments. I wanted to be able to turn to my board and say, “I have data that proves your dollars are going to good use.” That’s probably reason number 20 in the list of benefits that [gathering beneficiary feedback] brings. Now, our first priority is to use the feedback we gather through the YouthTruth survey to better serve our students and meet their needs. [Beneficiary feedback] allows us to better support groups of students who are often the most marginalized. The data amplifies the voices and needs of students who want to do well and for whom there is limited support. Hearing their voices directly produces a really easy roadmap to say where we have opportunities to improve the experiences for these kids. The key is to listen and learn, and to let students know you’ve heard them. Download and read the full case study here. 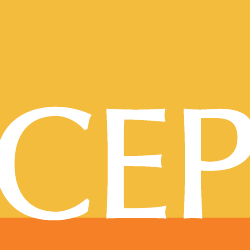 At the 2019 CEP Conference in Minneapolis-St. Paul, Durnil will be part of a breakout session discussing how engaging and empowering youth voice can lead to stronger philanthropy. Kelson Goldfine is marketing and external relations coordinator at YouthTruth. Follow YouthTruth on Twitter at @Youth_Truth.